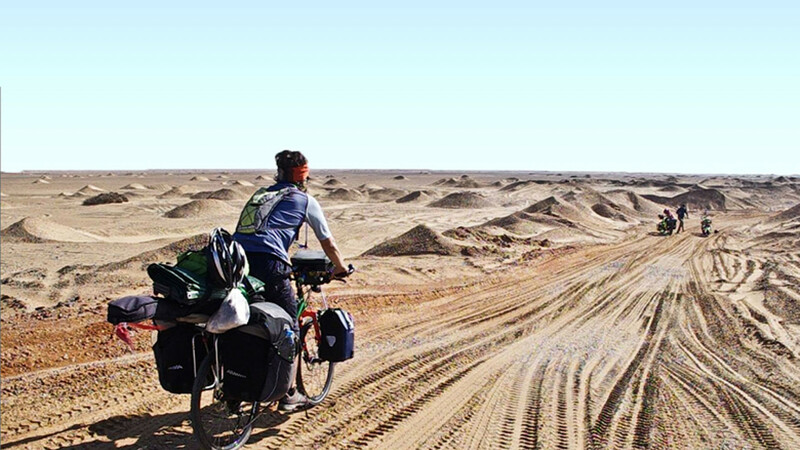 Two men, 26 countries, 501 days, 20,000km. Frank Bike Push: Frank, the motorbike and sidecar I bought from the backstreet of Khartoum, Sudan (whilst I was forced off the bicycle with a six month knee injury). I crossed five borders with Frank and had to push over four of them due to mechanical failures. Frank was in a terrible state from day one but generated such interest and interaction with every breakdown – people just wanted to help and help. 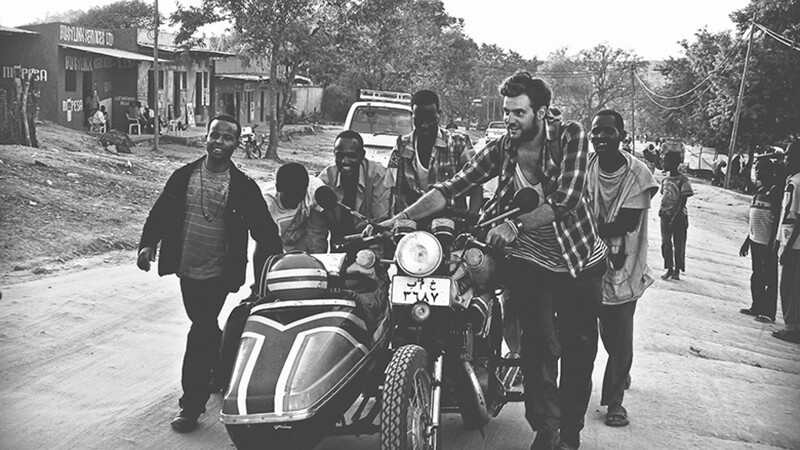 This time we were pushing over the Sudanese/Ethiopian border. Into the White Desert: When the tarmac stops. 'Off-roading' with all this weight proved to be quite the physical challenge. Deep sand and corrugated roads are less then ideal. This is heading into the Western Desert, Egypt. 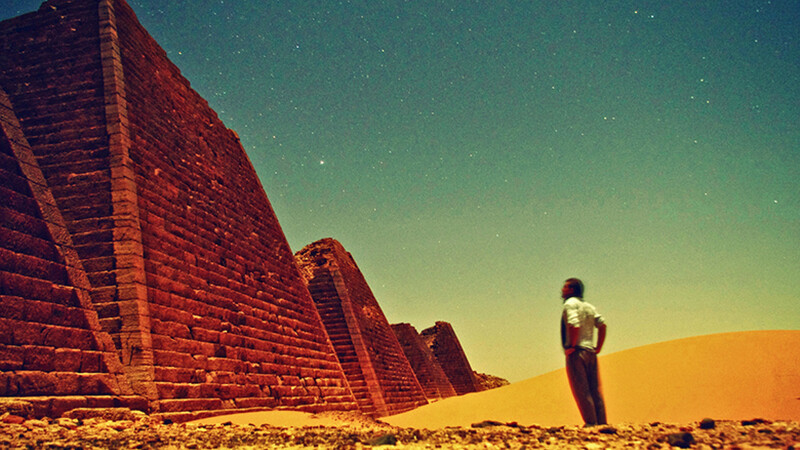 Sudan Pyramids: The Pyramids at Monroe, Northern Sudan. A mind blowing site. We had the place completely to ourselves, a true privilege to see such incredible feats of ancient human engineering so intimately. This picture was taken at midnight - using a long exposure and illuminated by the most brilliant of full moons. 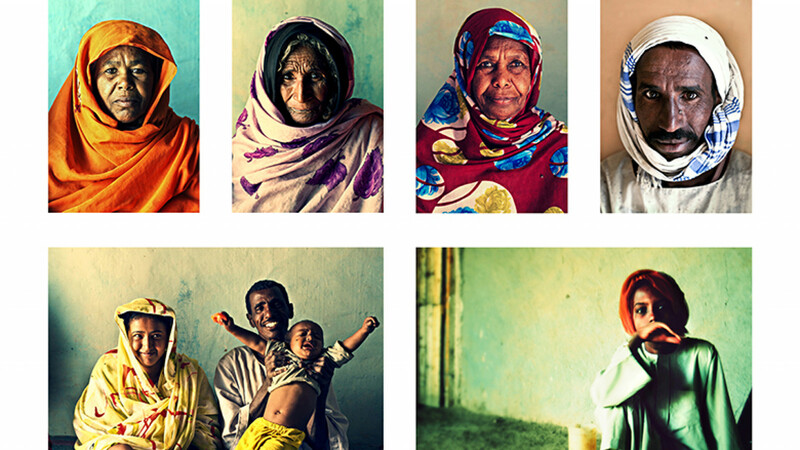 Sudanese Portraits: Faces of Sudan. A people of great humility and kindness. Sudan exposed us to a level of generosity and welcome on an entirely unique level. A very special place along our journey. 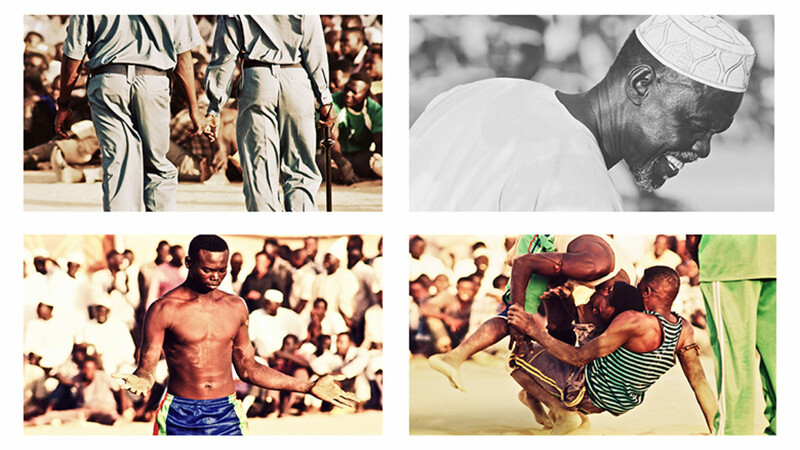 Traditional Wrestling, Sudan: One of the most celebrated sporting events in Khartoum. Teams of wrestlers come together and grapple it out to see who comes out victorious. A great social occasion and celebration. The competition is fierce. 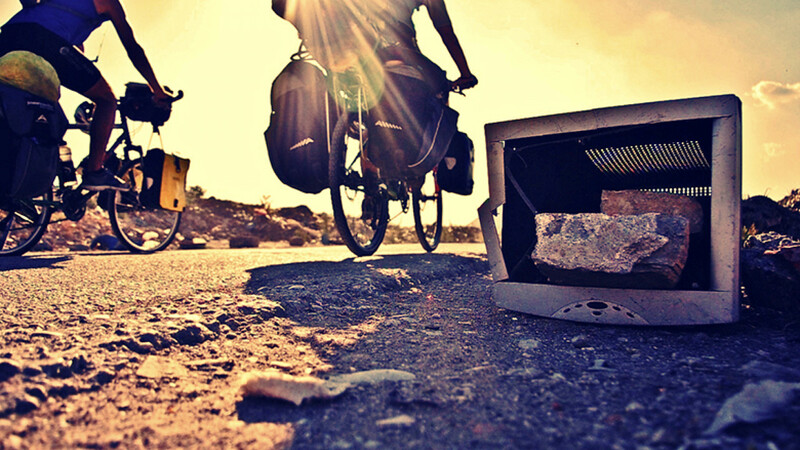 TV Cycle: Riding through the Balkans. Often we would come across whole villages deserted of any life. Shells of houses now fallen into disrepair and degradation. A vivid reminder of a dark, troublesome history. 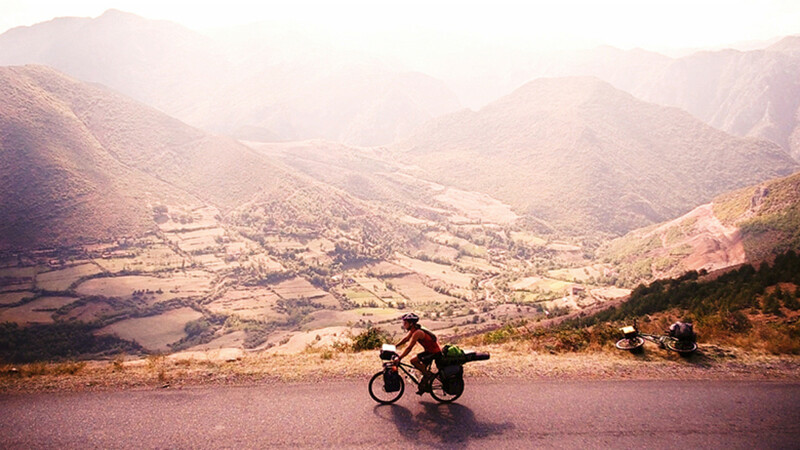 Albania Valley: Cycling through Albania. A country that we knew so little about, and one that blew us away from the moment we crossed the border. A place of exceptional natural beauty and people full of warmth and generosity. 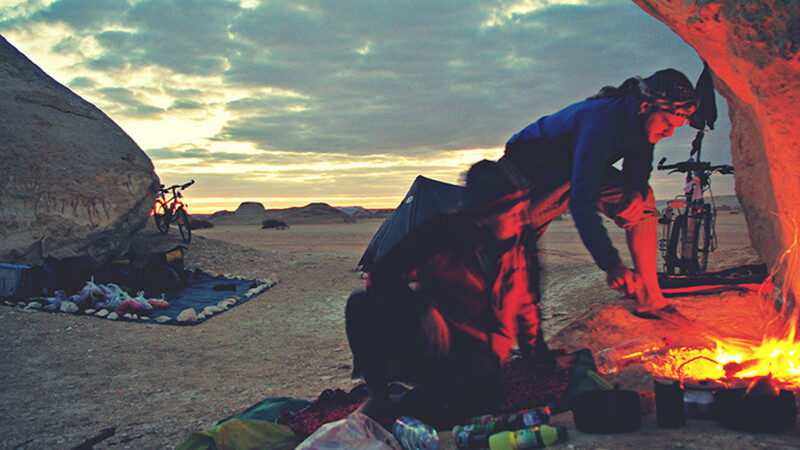 Camp fire in the White Desert, Egypt: The White Desert, situated in Egypt's larger Western Desert, is a spectacularly beautiful natural phenomenon. Our home for a few days. Camping under the stars, cooking over open coal. Just perfect. Camping in the Bus Shelter: Another incredible 'Home for the Night'. This abandoned bus shelter in Jordan next to the Dead Sea, proved to be one of our favourites. 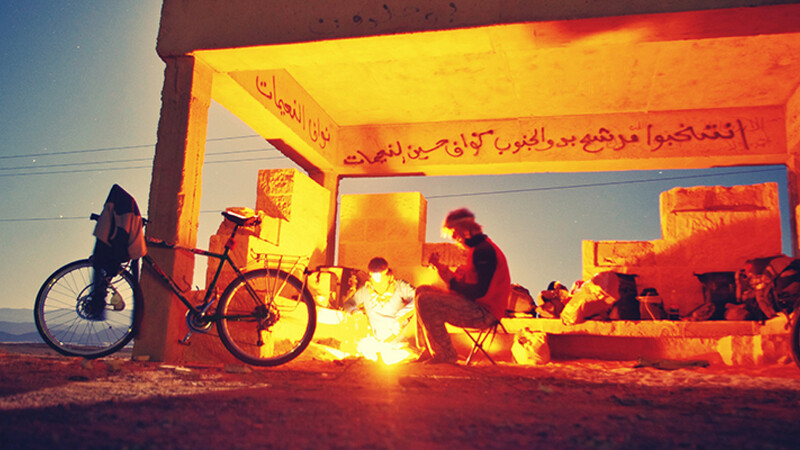 Cooking up a hearty warm meal was a priority and a joy at the end of every long day in the saddle. 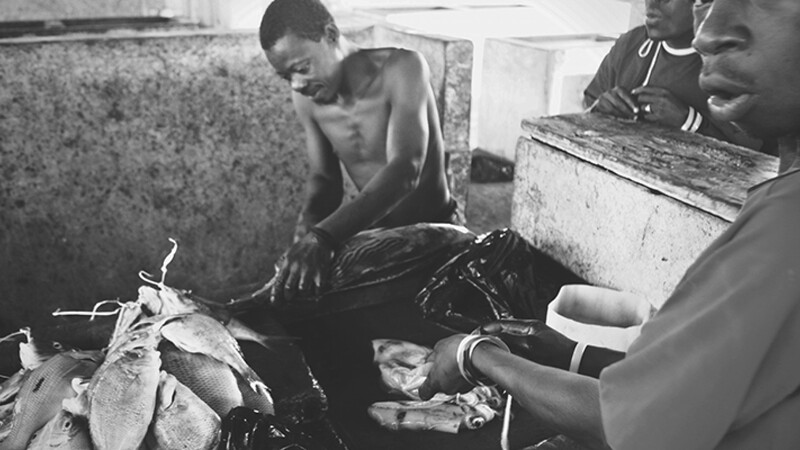 Fish Market, Tanzania: Gutting and cleaning in Dar es Salaam. Freshly caught tuna and calamari straight from the boat. The Indian Ocean providing a bounty of incredible seafood treats. Two men, 26 countries, 501 days, 20,000km. That's a dramatically condensed version of the journey undertaken by avid cyclist, food fan and general globetrotter and go-getter Tom Perkins, who cycled with a friend to some of the farthest-flung corners of the world in search of a bit of adventure – with some cooking thrown in along the way. The fruits of his labour, aside from some stunning photography, is an as-yet unreleased book called Spices & Spandex, a travelogue/cookbook which documents his journey as well as the cultures and characters he encountered along the way. See the gallery above for just a few of his photos. See more information and photography at thenomadickitchen.com, or check out his Kickstarter page here.